We’ve all heard of Aesop Fable’s The Boy Who Cried Wolf, in which an attention-seeking boy falsely calls out that he is being attacked by wolves, until one day he actually is being attacked and nobody comes to his defense because he’s been branded a liar. This fable is perfectly encapsulated in our latest Piece of the Week “Boy Who Cried Wolf” by illustrator Lauren Rakes. 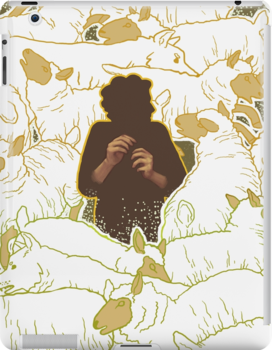 Lauren’s illustration juxtaposes a set of skillfully rendered hands against a digitally drawn background of sheep and wolves circling the central boy. 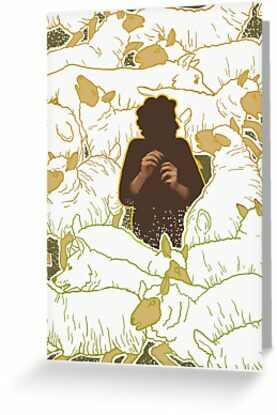 It’s an allegorical tale of caution set in a swirling chaos of moving animals. The way Rakes has used negative space in the body of the figure to provide a point of rest for the viewers’ eye makes this piece particularly strong. The mass of animals could quickly become too overwhelming — or get lost — in a lesser illustration, but Rakes has mastered the way our eyes look for moments of respite and calm in drawings to comprehend the entire image. I love Rake’s use of her color palette with the gold, brown and olive colors complimenting one another nicely. 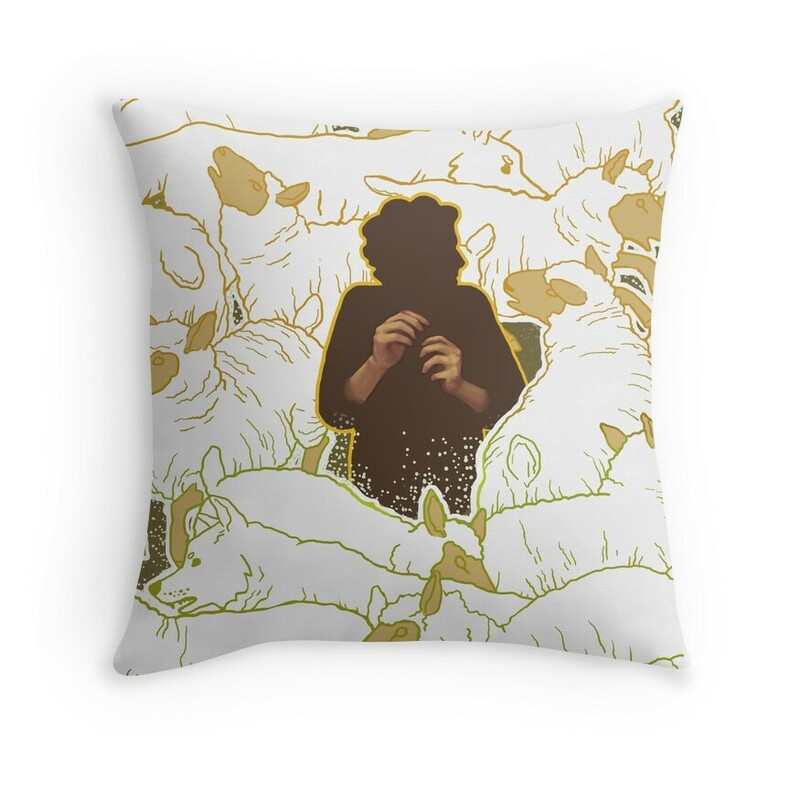 It makes a great tote bag, throw pillow, or more. 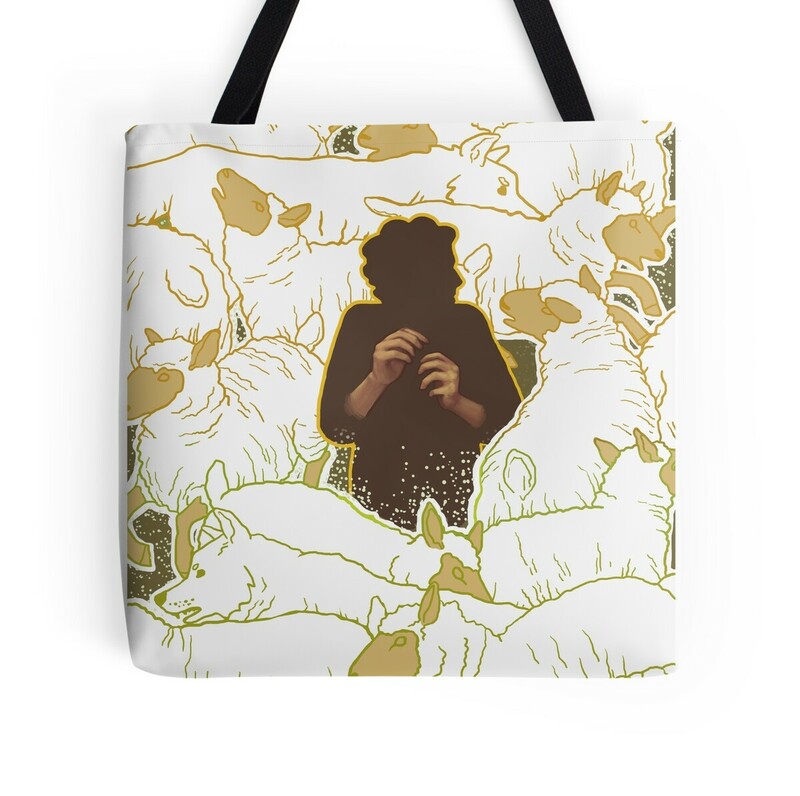 You can support RB artist Lauren Rakes by visiting her shop and grabbing this or other designs on various products here.